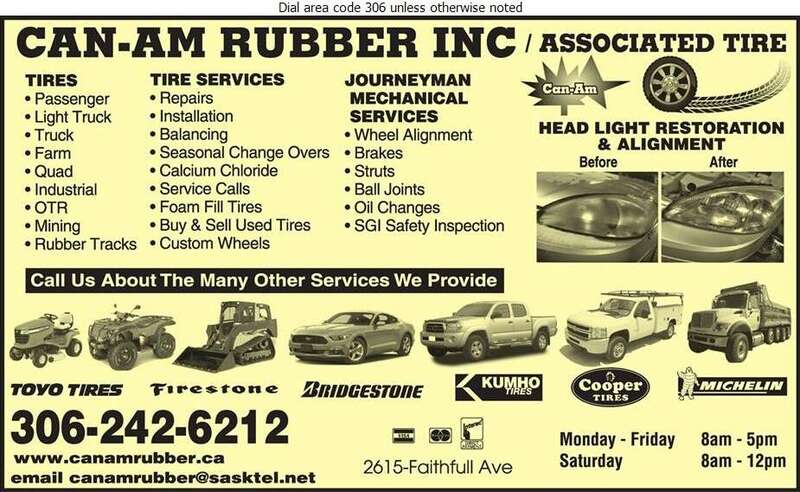 Can-Am Rubber Inc. is a Saskatoon-based tire shop. We sell the brands that you can trust, including: Kumho, Firestone, Pirelli, Toyo Tire, Bridgestone, Kelly Tire, Hankook and Cooper Tire. 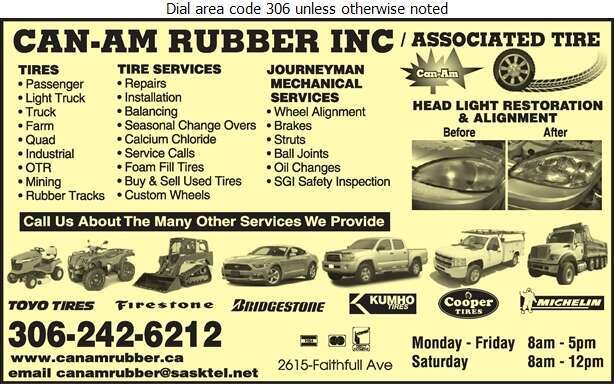 We buy & sell used tires and offer retreads and vulcanizing as well. We also do computerized tire balancing, 4-wheel alignments, shock and brake repair. In addition, Can-Am Rubber Inc. has a mobile truck for road-side assistance to make sure you're back on the road in no time!